With exponential changes in the marketing landscape over the last decade, Marshall McLuhan’s proclamation “The medium is the message” has gained new meaning. Faced with a constant deluge of information and brand messaging, it has become a necessity for companies to be in front of customers’ eyes more than ever before, thanks to perpetual connectivity. A strong multichannel marketing campaign uses a combination of direct and indirect means of communication to reach a broad target audience. In turn, customers are encouraged to take action through the channel of their choice. At the end of the day, multichannel marketing is all about options. There’s no denying that customers these days have a lot of control over the buying process and consumption of information. They determine both the “how” and the “when” of the cycle leading to a conversion. Today, there are a myriad of ways to reach consumers. As the number of applicable platforms rises, multichannel digital marketing will be more than just advantageous – it will be vital to a brand’s success. Here are seven tools to consider when putting your strategy together. Content marketing is an entity that needs to be on every brand’s radar. It is arguably THE MOST crucial element to any digital marketing campaign. According to a Curata report, 75% of marketers are still increasing their investment in content. Producing high-value material addressing issues or concerns within the industry is perhaps the best way to engage and grow a target audience. A strong reliable content strategy needs an efficient way to facilitate and streamline discovery, development, and distribution. Enter ClearVoice. This multi-faceted tool gives the user all necessary functionality to manage content through the entire marketing process from A to Z. Through the content measurement function, you will gain in-depth insights on what or who performs the best, and what can be improved upon in the future. Content marketing is one of the most effective ways to create a lasting relationship between brands and consumers. If your company is planning to automate your content process from planning to distribution, consider ClearVoice as a customizable resource to build a powerful strategy. The best social media campaigns do not start with postings right off the bat. They start with critical observation. They key to establishing a strong social media presence is putting yourself in the shoes of the ideal customer. Although a post may seem valuable in your eyes, the masses have a completely different perspective of your industry and what excites you might be totally irrelevant to them. 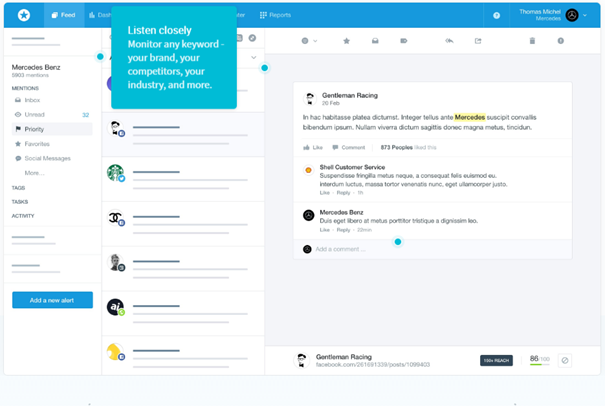 Mention is a user-friendly tool that monitors all the major social media channels on the web to keep you up-to-date and informed every time someone mentions you, you brand, competitors, or targeted keywords. 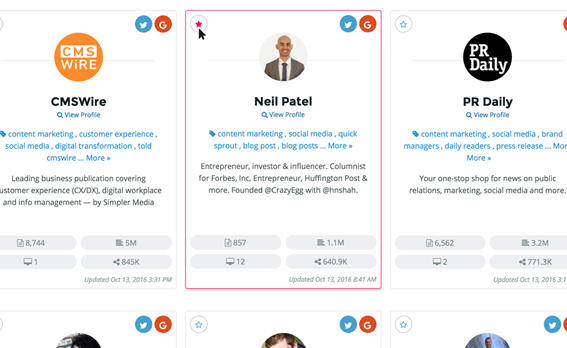 Track mentions across an array of online platforms such as Facebook, Twitter, blogs, etc. 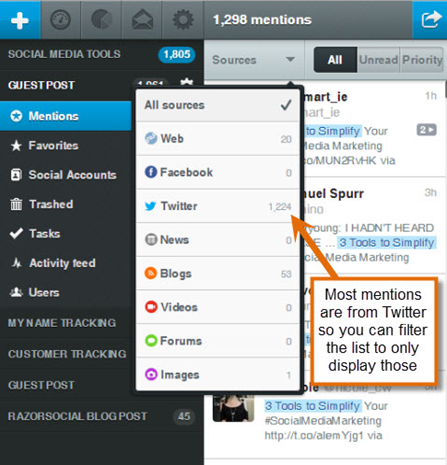 Mention is also available on mobile so you can keep up on activity while you’re on the go and act quickly when needed. Monitoring your brand/industry is a must. An essential part of creating a social media campaign is learning what your audience wants to hear and when they want to hear it. Without these crucial insights, your messages can easily fall victim to getting lost in the never-ending stream of updates and new content. Mention is a very affordable path to get the inside scoop on your audience’s voice. 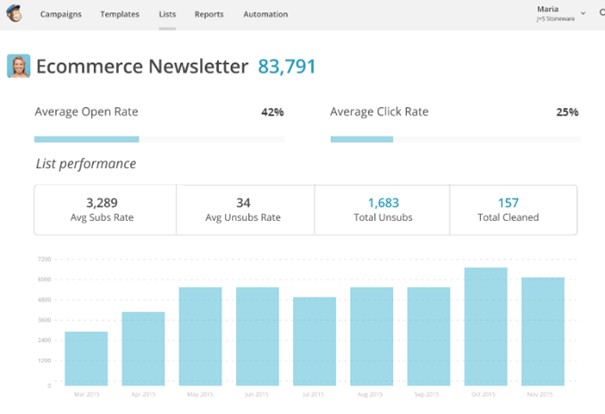 Email will always be one of the most important tools in the realm of digital marketing. In fact, 89% of marketers swear by email’s effectiveness as the primary channel for lead generation. This is one of the best forms of direct marketing as it seamlessly bypasses all the hustle and bustle of the internet while guiding viewers down the sales funnel. Perhaps the biggest advantage of email marketing is that the people you are contacting have already shown interest in your brand. They have signed up to receive messages from you and are ready to hear more. Emailing each of your potential customers one-by-one is virtually impossible. One of the most popular tools companies are using to make the process more efficient is MailChimp. 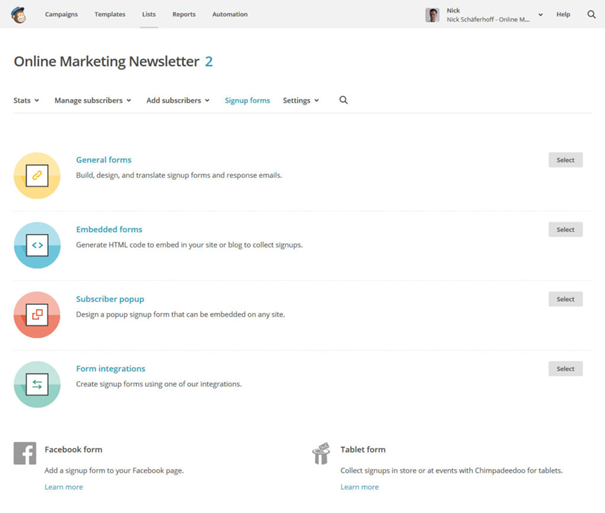 Regardless of what stage your business is in, MailChimp offers an affordable solution to keep in touch with your leads and previous customers. Optimizing your mass emailing system is a great way to ensure nothing slips through the cracks when reaching out to customers. Marketing automation is what even enterprise businesses dreamt of only a few decades ago. It is utopian technology that enables brands to streamline marketing tasks and workflows in a manner that boosts efficiency (and revenue) across the board. What can I do to give my buyers more of what they want? What can I do to help improve my customer’s buying experience? Marketo is a versatile tool that provides companies of all sizes with the necessary resources and information to navigate the waters of automated marketing and do all of the above. 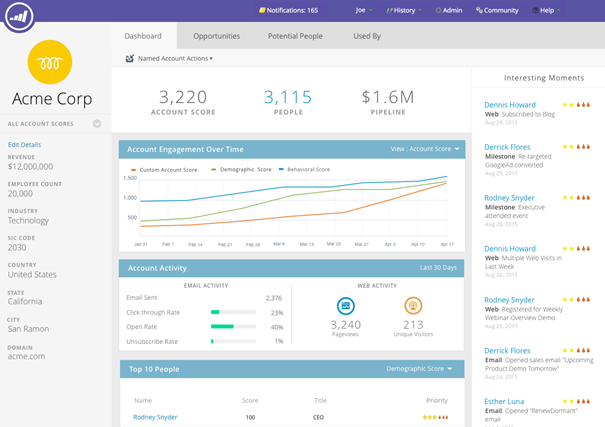 From optimizing your staff’s time to pinpointing the most promising leads for your sales team, automated marketing with Marketo can be a game-changer in boosting your revenue and growing your brand. Check out their pricing options to find what would best suit your business. PPC with search and social media marketing is a quick route to take when you’re looking to generate traffic to your website or capitalize on a trending event or occasion. 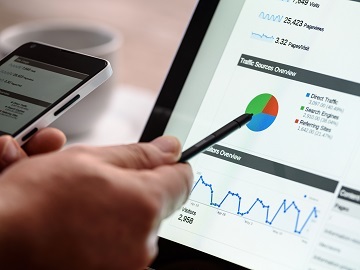 However, if you decide to include PPC into your multichannel digital marketing strategy, you will need a firm understanding of the workings of digital ad platforms, networks, exchanges, SaaS products and services, as well as publishers. 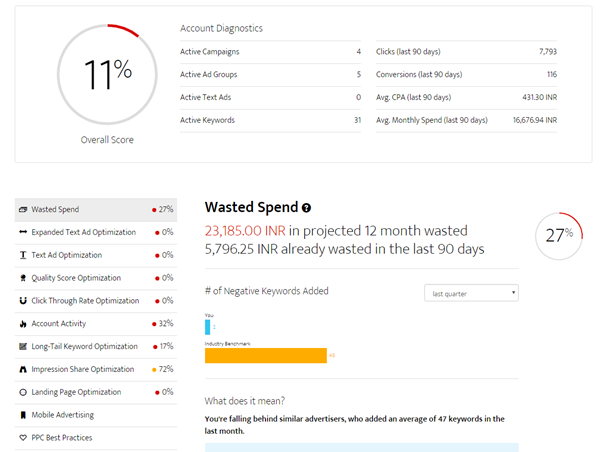 WordStream is a top-notch tool that will not only set you up and provide proper data on your Google AdWords and social media PPC campaigns, but also will alert you with insights on how to adjust your approach to save money and see better results. Research indicates that search ads are clicked on more often than any other form of digital marketing. PPC is a non-disruptive advertising option that can do wonders to drive traffic to your website. Perhaps the most unique element of PPC is that Google doesn’t just reward the brands with the deepest pockets, they reward quality (referring to user preference). Basically, the more popular and relevant your ads are, the higher rankings you will receive, driving traffic to your website at a lower cost. WordStream has generous pricing options so you can determine if guided PPC is working for your business. There are all kinds of business benefits to online customer reviews. For starters, 90% of buying decisions are influenced by them (as BrightLocal found). There’s no denying that today’s consumers are growing increasingly immune to and skeptical of brand messaging and sales tactics. Online reviews provide third-party validation and social proof that play a significant role in boosting conversion rates. Going out of your way to gather online reviews needs to be a priority, especially from a local SEO perspective. You are losing out on a lot of potential business otherwise. Perhaps the biggest benefit is in the form of trust that reviews build between brands and consumers. If you are just starting out and your product isn’t exactly selling like hot cakes yet, turning to Yotpo is a great way to consistently generate authentic content from your customers and boost exposure. Through its automated system, Yotpo uses functions such as Mail After Purchase to send review requests to customers at the most opportune time following a purchase. 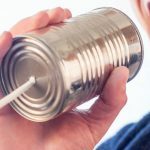 After a review is created, you will be able to keep the conversation going by thanking them, offering suggestions, or resolving any grievances. Additionally, each Yotpo email is designed to upsell your products with an algorithm that wisely chooses products based on the customer’s previous activity. 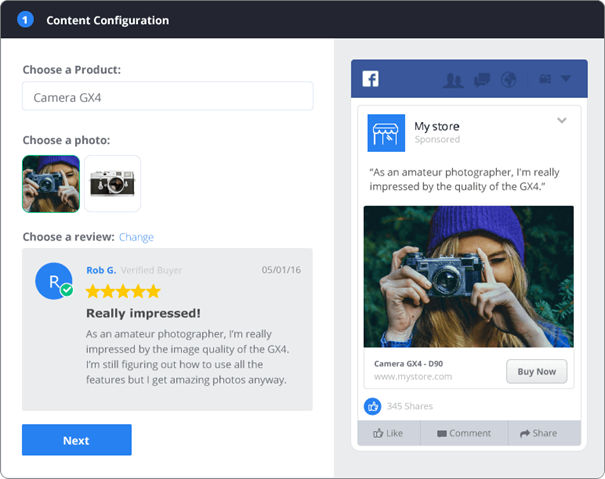 You can go a step further and also use Yotpo Ads to by turning your reviews into promoted stories on Facebook. That way, you can let your customers do the talking for you. Online reviews serve as great indicators as to how your business is fairing in the public eye. The challenge is getting happy customers, brand loyalists and advocates, and industry influencers to do them. Based on your needs, take a step back and examine which plan would work best to help generate the most valuable feedback for your business. Putting a multichannel digital marketing strategy in motion is one thing, managing every aspect of integrated campaigns is a whole different ballgame. Without the proper resources and organization to execute your strategies, it is inevitable that some parts will fall through the cracks and results won’t match up to expectations. 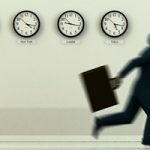 Understanding the ins and outs of effective communication, collaboration, and task scheduling is essential in carrying out tasks for businesses of all sizes. It is a concept that seems relatively simple until you get into the finer details. Luckily, there are a number of helpful tools to make program management simple. WorkZone is an easy-to-grasp platform that will make sure you have all your bases covered – it beautifully toes the line between simplistic, drag-and-drop tools and complex, multi-user software. WorkZone lets you use group calendars to schedule team tasks, workload reports to see who has bandwidth for the next project, threaded timelines to identify dependencies, and develop campaign assets real-time document sharing, image markup, file versioning and approval workflows. With 15 years of real world brand usage, WorkZone has task execution down to a science. If used properly, this tool will be your strongest ally in making sure each facet of your multichannel marketing campaign is carried out efficiently. Look into their demos to find which plan suits your needs. Customer experience is one of the most prominent competitive differentiators among brands. With more touchpoints of communication coming up as shopping behavior evolves, creating a strong multichannel digital marketing campaign is the best way to get your message out there in the hope of attracting eyes and ears. This means catering to the masses and their preference of media consumption. While each channel is unique in its own way, the most important thing you can do is remain consistent with your approach across your entire campaign. Hopefully these tools will put you on the right track to succeed and grow your business! New Top-Level Domains (TLDs) have become more popular in the last couple of years, so here’s everything you need to know about them. Welcome to our weekly round-up of all the latest news and research from the world of search marketing and beyond. The Chan-Zuckerberg Initiative has made its first acquisition – of an AI-powered search engine called Meta.